The month-long KULinary campaign by Malaysia Airports returned this year! Which means, foodies can make informed decisions on exactly which dining outlets to head to and which meals or dishes to sink their teeth into while spending time at our airports! 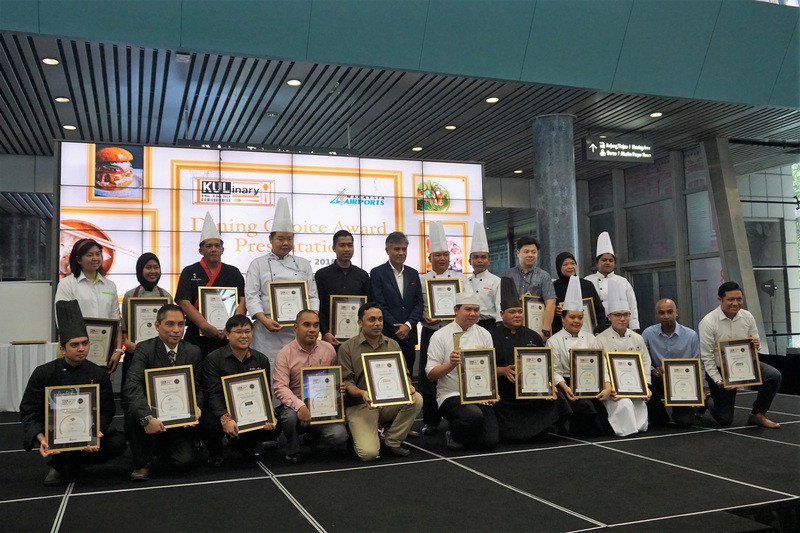 Returning for the third time, the campaign recognises the top 20 food outlets at the two terminals of KL International Airport (KLIA) and klia2 for their outstanding performance in food quality and overall dining experience. Malaysia Airports' Senior General Manager for Commercial Services Nazli Aziz (2nd row, sixth from left) with the 2018 winners of the KULinary Top Food Outlet Award. The campaign sees Malaysia Airports collaborating with Fried Chillies, an independent online food media company, to amass anonymous reviews of more than 100 food outlets and evaluate not only the dishes served but also the total dining experience, including ambience and service. Through this endeavour, Malaysia Airports aims to highlight the numerous ‘hidden gems’ found at the airports for travellers and food lovers to discover and enjoy. “We are proud to bring you our latest edition of KULinary campaign as it showcases our commitment in creating enjoyable dining experiences at airports as well as making airports a preferred destination for all food lovers out there. 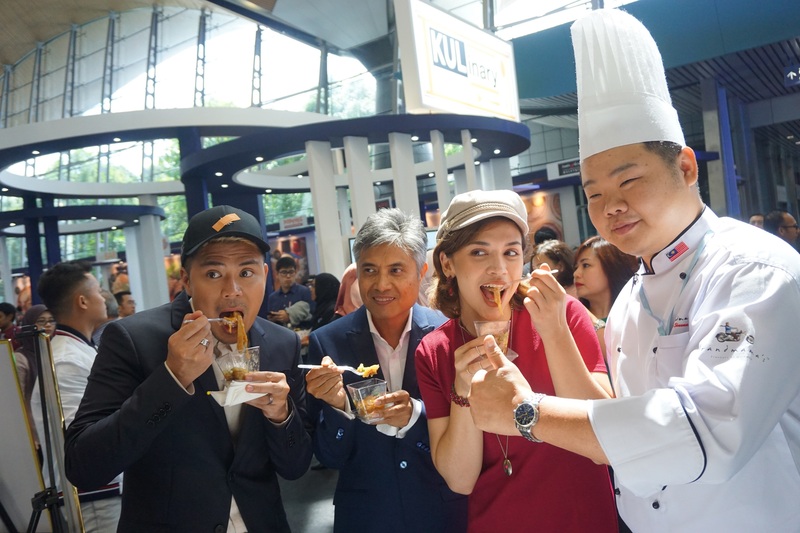 This campaign is also very much in line with our mission to enhance the Total Airport Experience as it takes visitors through a culinary multi-sensory experience that blends the traditions of many cultures and influences,” said Nazli Aziz, Malaysia Airports’ Senior General Manager for Commercial Services. Malaysia Airports KULinary campaign, which ran from 8 November to 8 December 2018, comprised a host of activities for travellers and visitors to partake in, such as ‘Weekend Bites’, a food sampling session featuring award-winning dishes from the top 20 restaurants on weekends from 10.30am to 6.00pm. There was also a Facebook Contest for visitors to win up to RM200 cash prize each. Additionally, visitors could also grab their Food Passport at the terminals to enjoy great discounts and offers from these top 20 restaurants. 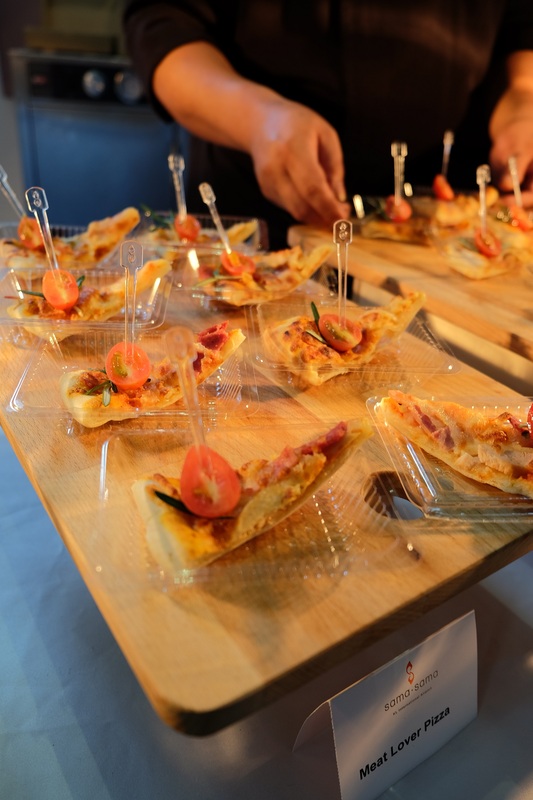 Along with the 20 winners of the KULinary Top Food Outlet Award, this year’s third edition also saw a new special category of Judges Choice Award being introduced. Winners of the Judges Choice awards – Sama-sama Express klia2, Flight Club, Grandmama’s, The Green Market and Bumbu Desa – showcase unique gastronomic experiences through authentic gourmet delicacies. Among the most raved-about options include Meat Lovers Pizza and Satay Pizza (Sama-sama Express klia2), Rotisserie Chicken (Flight Club), Beef Kuey Teow (Grandmama’s), Garlic Fried Rice (Green Market) and Nasi Rabeg Kambing set as well as Bakso (Bumbu Desa). Other award-winning food outlets this year include Coffee Sandwich Revival, Fukuya, Mamak Nasi Kandaq, Nooodl, OldTown White Coffee, Pantai Timur, Bibik Heritage, Dim Sum, Little Café, Popeye’s, Tampopo, The Bar, The Living Room and Wincaa.